Teen: "See? THAT'S what librarians are like." She then noticed that I was (lovingly) giving her the Librarian Glare of Death™, so she hastily said, "No, no...not YOU. 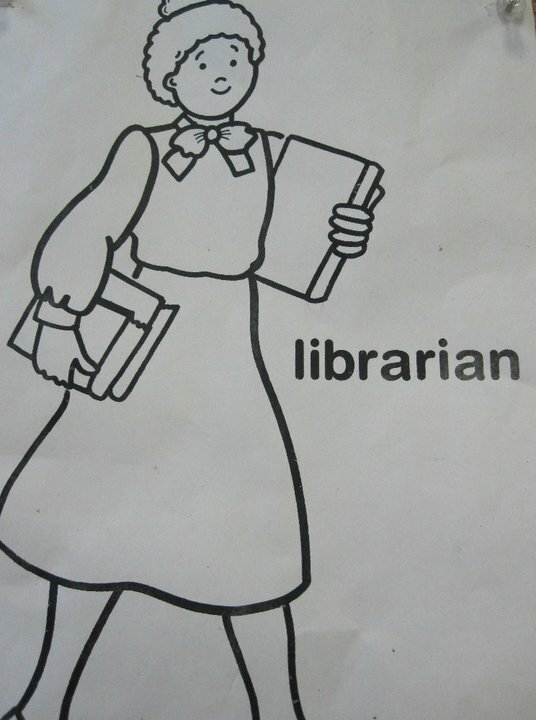 Other librarians." Sigh. 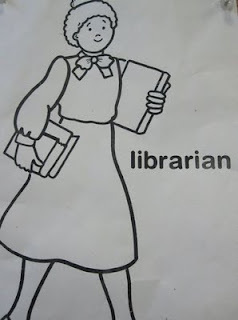 Looks like we have some more work to do to improve the perception of librarians, folks. Speaking of those darndest things kids say, here are the Top 5 Things I heard/was asked today by youngsters at the library. They were especially punchy today for some reason, and I had many interesting conversations. 1) Teen: "What kind of phone do you have?" Me: "Just a normal, boring phone." Teen: "You need to get a stylish phone." Me: "Do I look like I care about being stylish?" Teen: (looks at me, considers): "...No." 2) Tween: "Are you Jewish?" Tween: "You look Jewish. It's the freckles." Me: "Why would her mother let her go to school like that?" Teen: "Her mother is a stripper." 4) Tween: "My math teacher is MEAN." Me: "Why is she mean?" Tween: "She's mad because she's divorced and she has no one to spend her life with now." 5) And my very favorite quote, spoken by a girl in the third grade: "I don't understand love." Yup. Still love my job. Whoa, you were at BEA?! I didn't know! Me too! Yes! Just on Tuesday. Sorry to miss you! Keep posting these! I gobble them like Hershey's Kisses. Obviously you need to get a stylish phone. That'll show the little meanie. Tween girl: (Big sigh) "Boys are just silly. One boy in my class put a rock in his ear and called in a hearing aid"
2nd tween girl: And some girls in my (4th grade) class are even *dating* them! My response? A commiserating "ewwww"
I'd wear a dress like that every day if I could find them. Rockin' the bow. I'm really teaching my students that it doesn't matter what one wears, as long as one is kind and helpful. Useful, not decorative; that's my motto! Kids are hilarious, aren't they? My favorite was when a 9 year old told me this "joke"-Why do kids drop out of school? Because they get pregnant! Definite headdesk. But I laughed really hard at the stripper comment, so thanks! loving all this stuff - from far across the water in rainy gloucester, uk.